When I first went vegan I immediately started going through my fridge and cupboards to read every label, and get rid of all the non-vegan items, so that I could build myself a completely vegan pantry. I went from carnivore to vegan overnight, so I made a lot of changes, and I made those changes fast. You can read my whole store here if you are interested. Now, I have the ultimate vegan pantry! (Well, at least my ultimate vegan pantry). Much of my pantry is made of up foods that were basics even before I went vegan, such as dried pastas, grains, beans, baking essentials, oil and vinegar, and spices. But that’s not what this post is about, because I am pretty sure I don’t have to tell you to eat some beans if you’re going vegan. Some of these items were completely new to me when I went vegan, and they have since become favourites (such as nutritional yeast). Others I have had before, but now I have a found new appreciation and love of them (such as raw cashews). All of them are always on hand, ready to go for anything I am cooking up. So let’s build that vegan pantry! 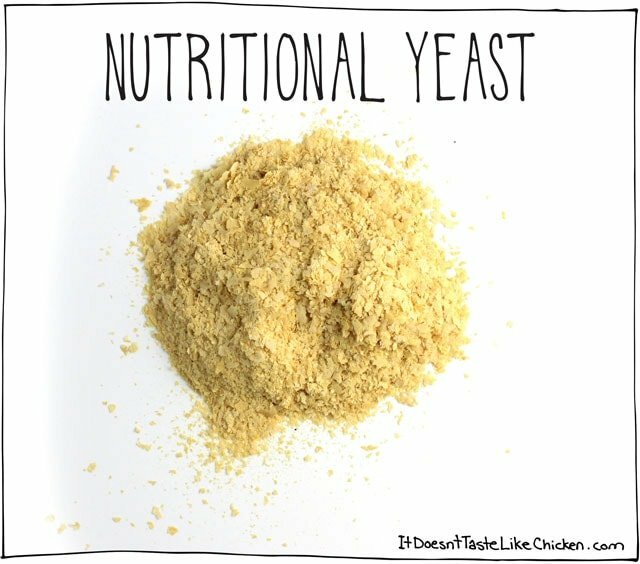 I sooooo wish that nutritional yeast had a better name. I mean really, it’s not exactly drool inducing, is it? Some people lovingly nickname it “nooch”, which has a much better ring to it. When I write recipes in my short hand I often refer to it as “nut yeast”… which is incredibly unappetizing… so let’s go with nooch. What are these magical golden flakes you ask… or at least I certainly did when I went vegan. This yeast is not active like the kind of yeast used in bread. It’s only job is to taste awesome, and in my opinion it wildly succeeds. It has a sort of cheesy nutty flavour so I love to sprinkle it on pasta, use it to create vegan cheeses, stir it into sauces, or one of my favourite uses: sprinkle it on popcorn. If at first you don’t love it, I recommend trying it again. I didn’t like it at first, but now I sometimes eat pinchfuls of it straight from the jar. Yes, I’m all sorts of classy like that. Buy nutritional yeast on Amazon here. 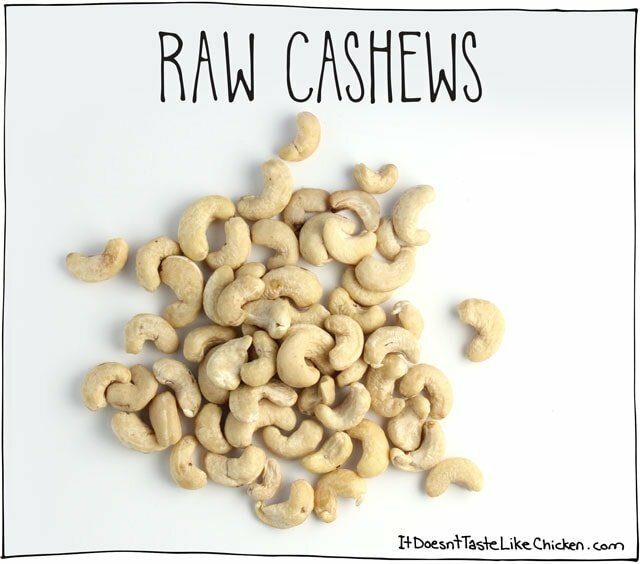 When vegans think of raw cashews, they automatically translate that to delicious creaminess. Raw cashews are the ultimate ingredient for making anything creamy. Perfect for making sauces, vegan cheeses, or anything just that much richer. Raw cashews can be pricey, so I recommend buying them in bulk. Buy raw cashews on Amazon here. 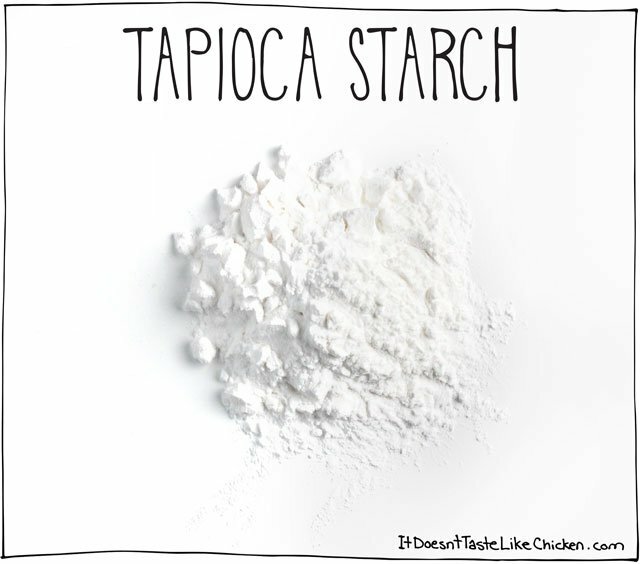 Unlike corn starch, potato starch, or any other starch, tapioca starch doesn’t just thicken but it also has a magical stretchy quality which makes vegan cheeses a thing of beauty. If you are new to the vegan diet, you might not have even realized that stretchy, melty, vegan cheeses are hard to come by, but with some tapioca starch, raw cashews, and nutritional yeast (see where I am going with this article), you can make your very own vegan melty cheeses and it only takes 15 minutes! Boom. Buy tapioca starch on Amazon here. As honey comes from bees, it isn’t considered vegan, so the perfect alternative is maple syrup (this Canadian girls favourite), or agave syrup. 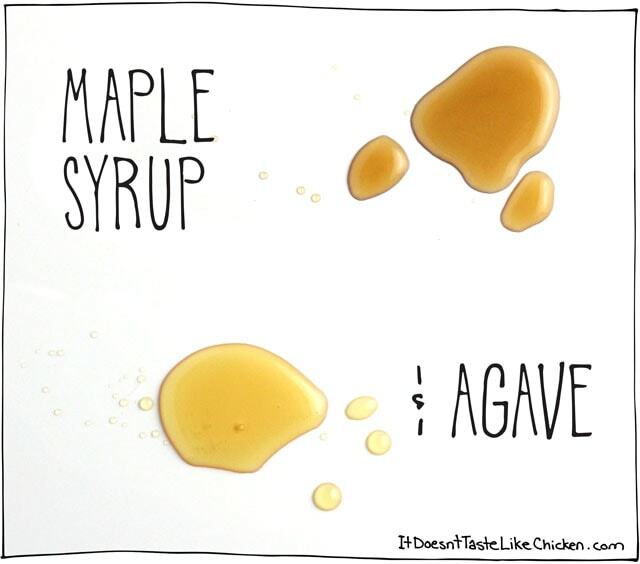 While I am sure you are familiar with maple syrup, you may be less familiar with agave. Agave is made from the same plant tequila is made from (shots!). If you are looking for a liquid sweetener without the maple taste, agave is the way to go. I always have both on hand. Either of these work great for baking, sweetening sauces, or drizzling over oatmeal. Buy agave on Amazon here, or maple syrup online here. 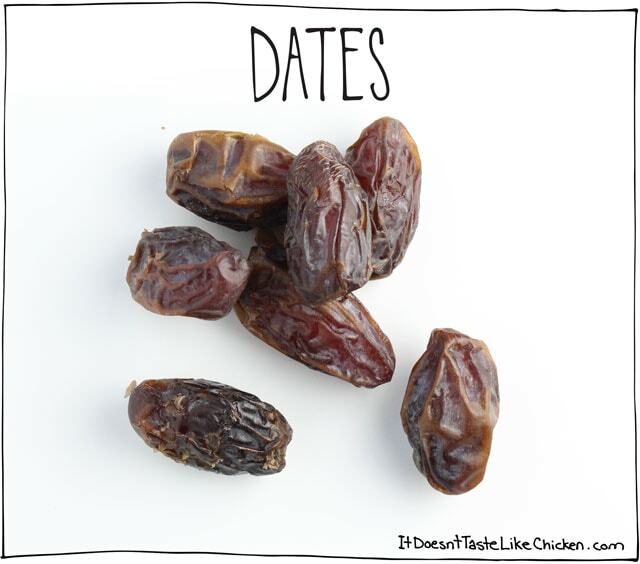 I often thought of dates as old people food (no offence old people!) but when I became vegan I soon realized that dates are the candy of the plant world. Super sweet and gooey, they are totally delectable on their own, or with a bit of peanut butter, but they are also perfect for sweetening dishes without adding any processed sugar. I love adding a couple of dates to a smoothie, or chopping them up and cooking them with my oatmeal. There are varying different kinds of dates and they can range greatly in price. Pay attention to the kind of dates a recipe calls for as it can be important to the resulting texture. Medjool dates are always my go to. Buy medjool dates on Amazon here. I always have full-fat canned coconut milk both in my cupboard and in my fridge. Let me explain. First, there is no need to buy lite coconut milk. All it is, is watered down full-fat coconut milk, so instead make it yourself and save the extra dollars. Coconut milk is a deliciously rich cream alternative. I keep cans of coconut milk in the cupboard for stirring into curries, soups, smoothies, and even using on pizza. So why keep a couple cans in the fridge as well? If you buy premium full-fat coconut milk (Thai Kitchen brand is my favourite), and chill it in the back of your fridge overnight, the cream will separate from the water. Scoop out the cream, and beat in a bit of powdered sugar and you just made yourself coconut whipped cream. I know, mind blown. This is perfect for pumpkin pie, or any other place you love whipped cream, and it tastes even better than dairy based whipped cream. Buy coconut milk Amazon here. 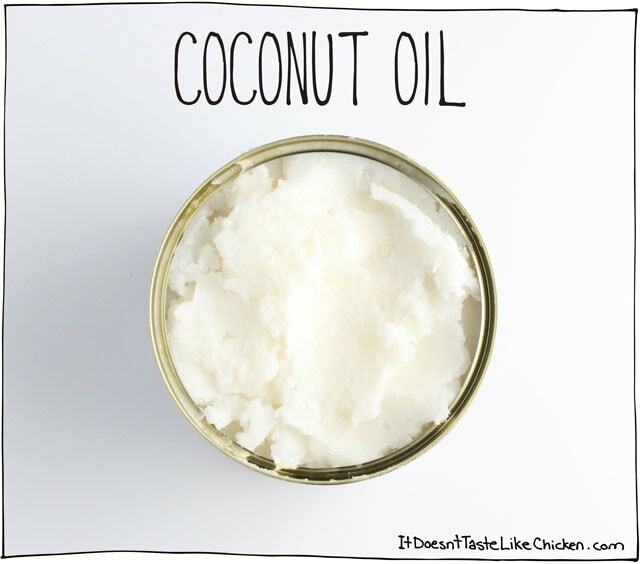 Coconut oil has the unique quality of being solid at room temperature, but turns totally liquid at just 76F (24C). This makes it handy dandy for helping recipes firm up when chilled. I don’t often use it for frying, but I find it’s perfect to use when you want a recipe to thicken, or it can be a good substitute for butter in baking. Buy coconut oil Amazon here. While miso soup is delicious, I mainly you white miso paste as a flavour enhancer. It has a great umami taste, and gives recipes that added zing. I use it in vegan cheeses (I know vegan cheese talk again), sauces, and dips. 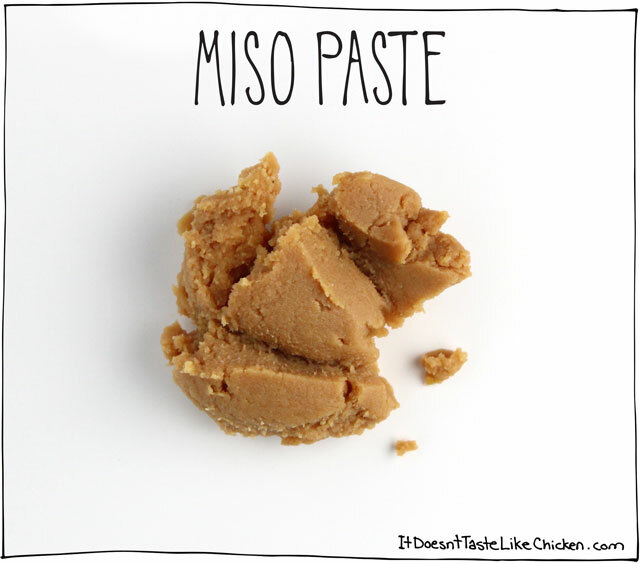 Miso paste can come in varying different types, but I usually opt for the white as it is milder in taste and won’t effect the colour of your dish as much as a dark red miso paste would. Buy white miso paste Amazon here. Both flax seeds and chia seeds work wonderfully as a binding agent instead of eggs. You can use one or the other, I find they results are pretty similar. Never buy flax or chia pre-ground as they can go rancid and stale quickly. Instead, buy the seeds whole and then use a coffee grinder or high speed blender (such as a Blendtec), to grind the seeds at home, then store the powder in the freezer. To make a flax or chia egg (replaces 1 egg in baking): just combine 1 tablespoons flax or chia powder with 3 tablespoons warm water, and let sit for about 5 minutes until it thickens. 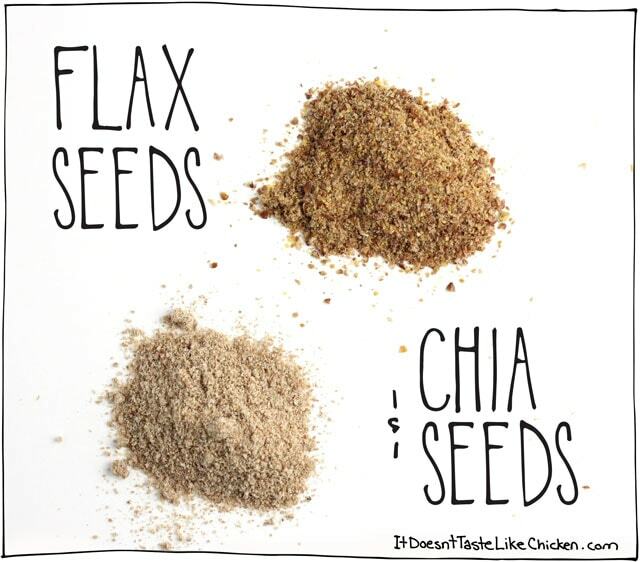 Buy flax seeds on Amazon here, or chia seeds online here. 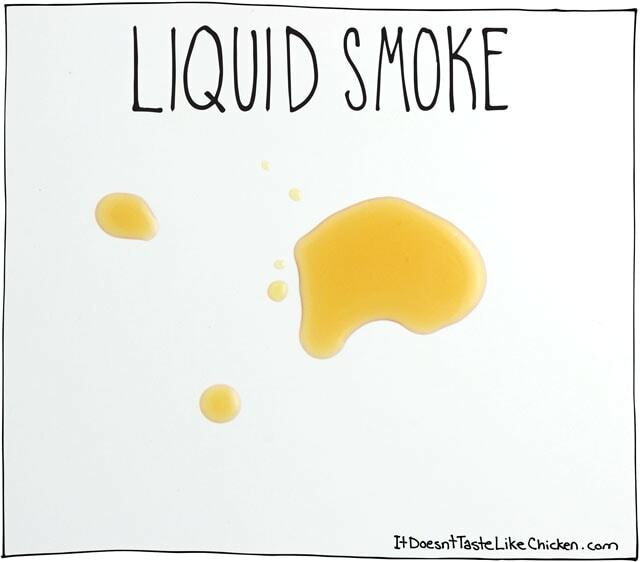 At first I thought that liquid smoke was some sort of weird chemical concoction. It’s not, it’s actually 100% natural. All it is, is the condensation collected from the smoke of a fire. Cool huh? If you like BBQ or any kind of hearty meaty taste, you definitely want to pick some of this up! Just add a little to a sauce or marinade and it really brings that smokey meaty taste to life. I use this whenever I am cooking for my most carnivores friends! Buy liquid smoke on Amazon here. I was never a big fan of eggs, but if you are and want that taste, I highly recommend picking up some black salt. 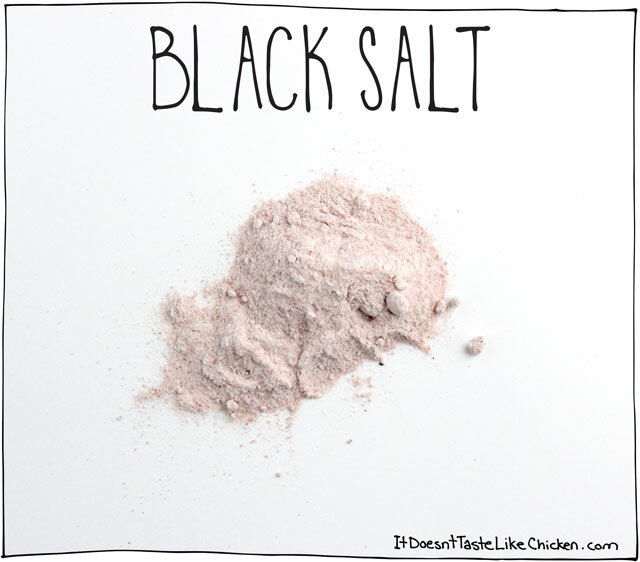 Disappointingly black salt, isn’t actually black, it’s pink, but don’t confuse it with himalayan salt which is a totally different thing. The crazy thing about black salt is that it tastes just like eggs! Really, I even brought this out at a party once and had everyone taste a bit to see. Cool party trick my friends. Use this in any recipe instead of regular salt to get an eggy flavour. Buy Black Salt on Amazon here. 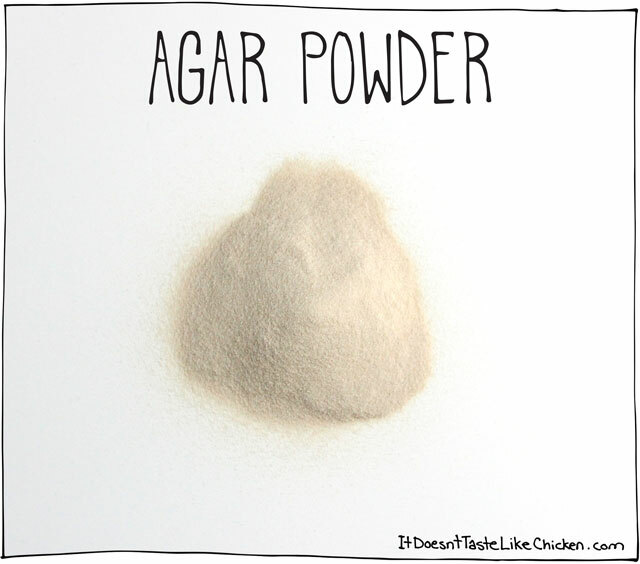 While I rarely use agar powder, it can be handy to have on hand for the times you do need it. Agar powder is made from seaweed and it works wonderfully to replace gelatin. It is often used to make vegan cheeses firm (I swear this isn’t a vegan cheese article), and jellied dishes. Agar can also be found in flake form, but if you can find the powder, I prefer it as it dissolves quicker and easier. Buy agar powder on Amazon here. Beans, canned and/or dried. Chickpeas, kidney beans, black beans, or any other beans are great to have on hand. Perfect for bulking up any meal. Non-Dairy Milks. You can buy these in the refrigerated section or in shelf stable cartons. There are so many amazing kinds of non-dairy milk, I recommend you keep trying different kinds until you find your favourite. 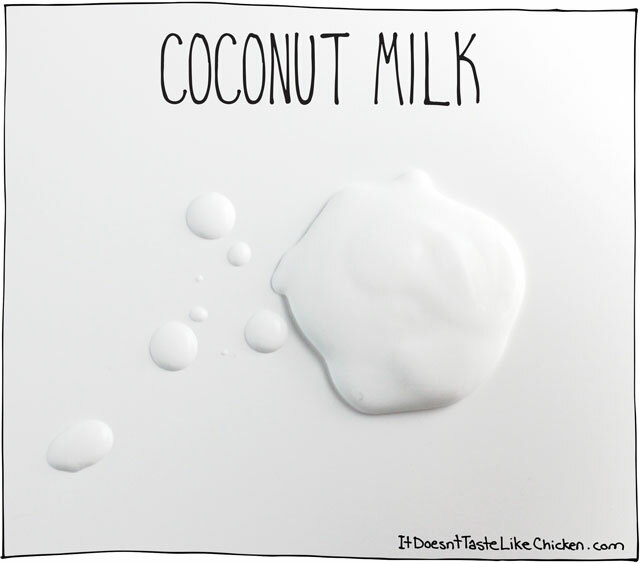 My choice is soy milk, cashew milk, or coconut milk (which is thinned for drinking). There is also oat milk, rice milk, almond milk, hazelnut milk, hemp milk, macadamia nut milk, the list goes on… Use any non-dairy milk to replace dairy milk one to one. Vegetable broth or vegetable bullion cubes. Perfect to have on hand for easy soups. Spices. Since going vegan my spice cupboard went from small to large drawer exploding full of bags and bottles. They are the spice of life! Pastas. Most dried pastas are vegan by default, just check the ingredients to be sure. I always have many different shapes on hand. Other Noodles. Rice noodles, chow mien, udon, or any other noodle. Just always be sure to check the ingredients to watch out for eggs. Grains. Rice, quinoa, couscous, oats, are just some of my go-tos. Vegan Chocolate. Bars of chocolate and chocolate chips for snacking and baking. A lot of dark chocolates are vegan (just check the ingredients to be sure). Or health food stores might have specialty kinds of vegan chocolate. Flours & other baking basics. All-purpose flour, whole wheat flour, a gluten free flour blend, baking soda, baking powder. Breadcrumbs. I make my own by drying out bread and blending it in my food processor. Sugar. White sugar, brown sugar, and powdered sugar. Check with the brand you are buying to make sure it’s bone char free. Nuts & Seeds. Great for snacking or amping up a salad. Almonds, walnuts, brazil nuts, hazel nuts, sunflower seeds, sesame seeds, and many more! Nut Butters. Peanut butter, almond butter or any other nut butter. Dried Fruit. Dried cranberries, raisins, dried strawberries (which basically taste like gummy bears), dried mango, and any other dried fruit you like. Great snacks or salad toppers. Pasta Sauce. Great for a lazy meal, or handy to stir into other dishes or use as a pizza sauce. Canned Tomatoes: Make homemade pasta sauces, or add to curries. Vegan Butter. Ok, so this isn’t technically a pantry item, it’s a fridge item, but it’s good to have on hand to use in place of dairy butter. My favourite brand is Earth Balance. Oils. Olive oil, canola oil, and other oils for cooking and baking. I also always have spray oil or my Misto Oil Sprayer. Vinegars. Apple cider vinegar, balsamic, white vinegar. Tea & Coffee. I am defiantly a coffee kinda girl, and I love drinking tea in the evenings. So many delicious kinds to try! Popcorn Kernels. When in doubt, eat popcorn I say. I love this list, I always give it to my new fledged vegan friends. It is helpful and informative. Also I know I’m way late in the game, but as a money saver, if you can go to a store that allows you to buy in self weighed bulk, it is your most economical bet, even over Amazon prices. I know Winco has all of these things that can be bought in as much or as little as you want. I needed turmeric to make tofu scramble at my mom’s in California, and instead of buying a $4 bottle for something she won’t use after I leave, I got a tablespoon for a nickle. It also saves on packaging if you take your own containers. Anyway, I thought I’d share that money saving tip. The only liquid smoke my grocery store carries has soy sauce in its ingredients. Does that mean it is not the real deal? I’m on the search every time, hoping to find it close to home. I think I’m still going to search for another brand. I didn’t mention it earlier but it is not quite ‘a bit’ of soy sauce, it’s the first ingredient of a long list :S But if I can’t find it anywhere else, I am going to try it. Oh yeah, not the same stuff! I hope you find it. If not you can order it online. A small bottle lasts quite awhile. And nutritional yeast is magical. I don’t crave cheese anymore, thank you nooch! I love tofu too! The possibilities are endless when it comes to tofu, and my Tofu Bolognese is one of my all time fav dishes. Running out of any of 9 out of your 12 will send me into a panic induced, frenzied rush to the grocery store. Most of these items I buy on Amazon, but I refuse to go a single day without them, so I’ll cringe and bear the higher ticket price just ot have a small supply to tide me over until I can make a new online order! I totally agree with the “nooch” being an acquired taste…and I have heard dates referred to as nature’s caramel! I love knowing that I’m on the same page as you for so many items 🙂 Thanks for sharing! Haha! I totally understand your panic! So happy you liked this post, and glad we are on the same page! Thank you for this article! I’m still what I consider to be a newbie to the world of vegan cooking (went cold turkey 2 months ago) and this list is very helpful for me. While reading lots of recipes has given me some idea of what to keep on hand (and why), this basic list really gelled my thinking. 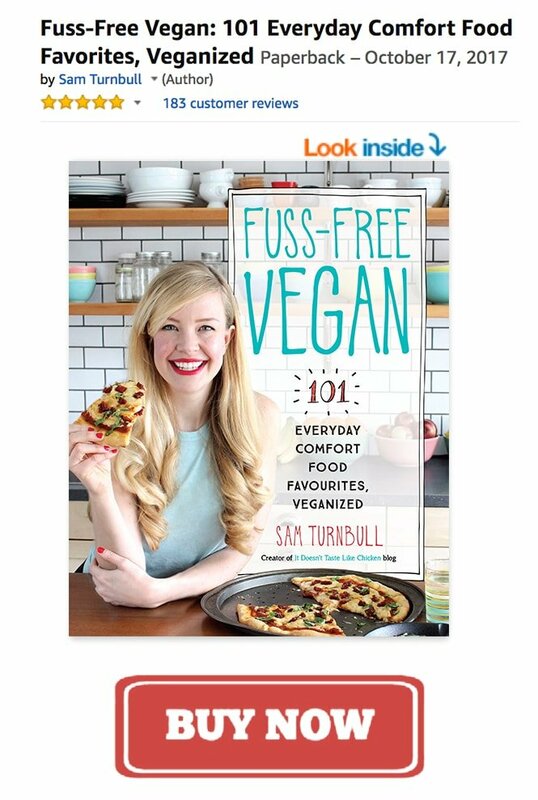 You’re so very welcome and congrats on your new veganism! I did the same thing. Going vegan is a learning curve, but once you get the swing of it you don’t even really have to think about it anymore. So glad I can help. Let me know if you have an questions or need any support! Wow! This confirms to me that I’m doing vegan right! I have all these, too. I’m bookmarking this post to go back to more closely read the recipes you link to. Thanks for such an amazing website!! Love this list! I’m experimenting with vegan eating and this is very helpful. I did not know that about black salt. I have a fav vegan mac & cheese recipe that uses the cashews and the nooch. Good stuff! I crave it way more than “real” mac and cheese. So glad you like the list Amy! It’s amazing the delicious foods some of these ingredients can make. I’m with you, cashew and nutritional yeast man and cheese is the way to go!